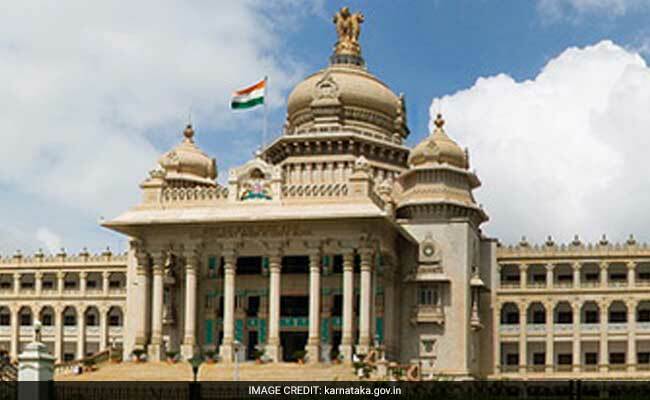 The Karnataka Assembly turns 60 in October and a grand celebration had been planned..
Bengaluru: A Rs 26-crore plan to mark the 60th birthday of the Karnataka Assembly building by giving gold biscuits to lawmakers has been nixed by Chief Minister Siddaramaiah. The Chief Minister has ordered drastic cuts to both budget and the duration of the festival. Instead of two days, the lawmakers get to celebrate for only one day and the expenses must be kept within Rs 10 crore. The wildly extravagant proposal had shocked many in the state, which is struggling with a crisis of infrastructure and sanitation. Over the last few months, at least a dozen people have died in pothole and rain-related accidents. Cutting across party lines, politicians, too, had expressed their disapproval. This morning, the Chief Minister scrapped the plan after holding a meeting with Assembly speaker KB Koliwad and Council Chairman DH Shankaramurthy. The idea for the celebrations on October 25 and 26, complete with budget, had been sent up by the state assembly secretariat. The Congress government said there had been no prior consultation. Assembly Speaker KB Koliwad, who is believed to have planned the celebration, denied there was any the proposal to distribute gold biscuits. "We have sent a proposal...there are various things in it. If the finance department thinks it's expensive and rejects it then we will drop it. But we haven't sent a proposal to give gold biscuits," he said. Sources in the Chief Minster's office, however, confirmed there was indeed such a plan. A few days ago, the Speaker had floated the idea of providing lunch at the Vidhan Soudha to induce the lawmakers to attend the sessions. Poor attendance had forced him to adjourn the house several times.